As well as a distinctive design, these huge nearfield monitors offer a frequency and time-domain performance that compares with the best. Its not touted as version 9, but the list of improvements certainly makes this years upgrade to Cakewalks Sonar DAW a big deal. The latest product of Doepfers modular know-how is the Dark Energy: a compact, powerful and hands-on desktop analogue synthesizer. Anyone who bought a hardware synth in the '80s already knows that even a few megabytes of sample memory can nevertheless result in incredible sounds in the hands of skilled sound designers. Recording in a live environment demands simplicity and stability, and this intriguing new product from SADiE co-founder Joe Bull is designed to offer both. The new TLM102 embodies everything weve come to expect from a large-diaphragm Neumann studio mic — except the price! After an extensive programme of selective breeding, Novation have created the Nocturn 25 — an affordable, touch-sensitive controller keyboard. Spectrasonics new STEAM-driven bass module bundles 34GB of electric, acoustic and synth basses into one package. We delve deep and give you the lowdown. Compact and bijou it may be, but the Impact Twin offers 14 channels of simultaneous analogue and digital I/O and is chock-full of TCs clever DSP technology. Summing might not sound very rock & roll, but Thermionic Culture have added a little attitude of their own to this impressive and unique design. There are countless reverbs, EQs and delay-based effects out there, but U-hes new Uhbik collection brings some fresh thinking to familiar sounds. Noisy, muffled, incoherent recordings are an audio engineers worst nightmare, but all too often they contain vital evidence in criminal trials. Its the job of the forensic audio specialist to extract that evidence. Many long-term Pro Tools users still rely on Beat Detective, but the newer Elastic Audio often produces better results in half the time. Read more about Elastic Audio — Better Than Beat Detective? Live 8s Looper is ideal for quick, fun composition. For every destination you might have for your mix, theres a correct audio output format. We explain the options. This month we look at ways to manipulate transients and make use of those all-important send effects, as we take on Jay Menon's ballad, 'Through My Eyes'. When French DJ David Guetta and American singer Kelly Rowland combined to produce one of the biggest crossover hits of 2009, the hands on the faders belonged to Veronica Ferraro. Apple provide great entry-level music software in the shape of Garageband, so why is Mac hardware shedding features that help entry-level musicians? VST Expression, introduced in Cubase 5, enables you to extract the best from multi-articulation sample libraries. More of your submitted recordings undergo the SOS 'Juke Box Jury' treatment. If youre upgrading to Windows 7, you might be considering buying a 64-bit version to access more RAM. But will you still be able to use all your 32-bit plug-ins? Q. Do balanced connections prevent ground loops? Read more about Q. Do balanced connections prevent ground loops? Q. How can I achieve a ‘dry’ sound? Read more about Q. How can I achieve a ‘dry’ sound? Q. Should I use parallel compression in mastering? Read more about Q. Should I use parallel compression in mastering? Q. What’s the best way to add a subtle vinyl effect? Read more about Q. What’s the best way to add a subtle vinyl effect? No-one likes having their work criticised, especially when the criticism is baffling, surreal and second-hand. But thats the lot of todays composer for the media. 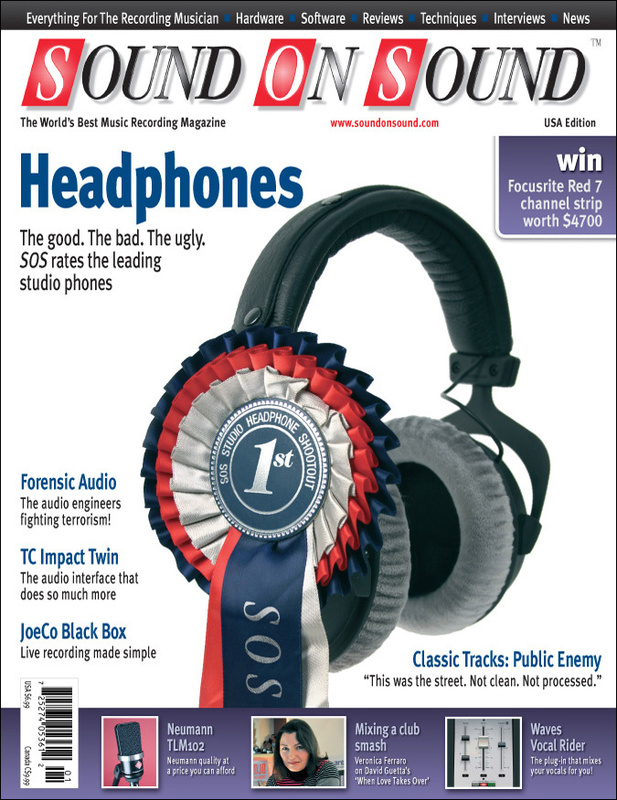 Media content for the January 2010 issue.